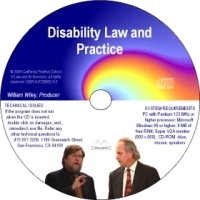 Through this CD-ROM training module, disability law experts Gilbert and Hadley discuss federal sector disability law, and give practice tips and techniques for the practitioner to utilize when representing the agency or a complainant. This session utilizes the real life experiences of the presenters in a classroom setting to provide a framework for assessing disability discrimination claims and for developing a strategy to either defend against or pursue those claims through the federal EEO process. 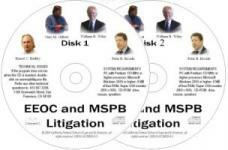 Topics covered include: the Americans with Disability Act and the Rehabilitation Act, limitations on agency-conducted medical examinations and inquires, reasonable accommodation as it relates to a qualified disability, understanding the concepts of �major life activity� and �essential job functions,� the mandatory �interactive process� for identifying reasonable accommodation, and Supreme Court decisions and their applicability to your clients.